A news story about heated roads and runways from public radio station WHYY in Philadelphia and distributed nationally by National Public Radio features a researcher from one of the programs at the Institute for Transportation at Iowa State University. Research by Halil Ceylan is prominently featured in the story, dated October 1 and titled “Winter Is Coming. 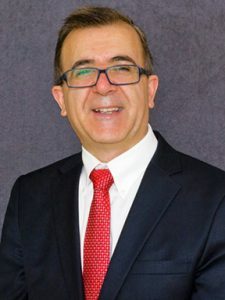 What If Roads And Runways Could De-Ice Themselves?” Ceylan is the director for the Program for Sustainable Pavement Engineering Research and is a professor in the Department of Civil, Construction, and Environmental Engineering. Ceylan and a group of Iowa State engineers are testing heated pavement technologies at the Des Moines International Airport. They installed two test slabs of electrically conductive concrete, and last winter the special pavement effectively cleared ice and snow.